Nice post. Smell is such a part of our lives, we should use it in our writing. Author has a blog on hero’s and smells as well. A while back I did a blog titled How does your hero smell? It was a light-hearted, but serious-intended piece about using your sense of smell as writer. Today, the tables are being metaphorically turned onto your heroine. So, for lack of a better title, How does your heroine smell? Girls are supposed to smell, well, like girls. I don’t think I’ve ever heard a female character referred to as smelling “manly” in a book…not in any I’ve read, anyway. But aside from describing to your reader how your protagonist smells like the inside of an exotic flowering hothouse, or dousing her in buckets of eau d’parfume, what sensory motivators can you use? 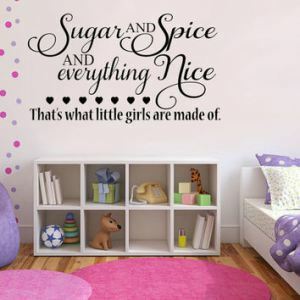 We’ve all heard the line sugar and spice and everything nice; that’s what little girls are made of. Well, what about big girls? I kind of think the same thing applies. Previous PostWhat fictional character would you like most to be stuck in an elevator with?